Kennedy School has two part-time Health Professionals; Henriette Teuchler and Estelle Licence. The Health Professionals provide immediate and emergency care to both students and staff, and make the necessary follow-up arrangements for students who become ill or injured during the school day. The Health Professionals provide additional information such as; current medical news and issues in Hong Kong, immunization information and advice, Government health and dental scheme information as well as other health information to parents and staff of Kennedy School. The Health Professionals also ensure that the medical information, provided by parents on Gateway, is updated and shared confidentially with staff as needed to ensure the safety of all students at Kennedy School. 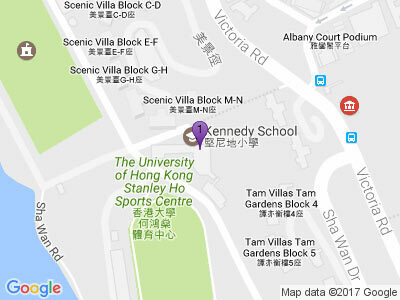 nurse@kennedy.edu.hk or phone 2579 5600. We encourage parents and physicians to minimize the prescribing of medication to be taken during the school day. Medication will be expected to be given before and after school hours when possible. However, if your child requires medication in school, a completed “Medical Authorisation Form” must be submitted to the school (together with the medication) before any medication can be administered. To keep our student body at Kennedy School as healthy as possible, certain medical policies have been put in place to avoid the spread of communicable diseases. Infectious Diseases Policy: Students with vomiting and/or diarrhea should remain away from school until 24 hours after the last episode of vomiting and diarrhea. Head Lice Policy: Students who are found to have live lice and/or nits, should remain at home until all live lice have been killed and all nits have been removed. On the day that your child is ready to return to school, please bring him/her to the nurse office for a final checkup, before going to class. Nut allergies can be life-threatening. Children may have an anaphylactic reaction to food containing nuts or nut products. This may be ingested, inhaled as vapour or by skin contact, e.g. peanut butter smeared on the skin. Treatment involves the rapid injection of epinephrine and immediate transfer to hospital. Peanuts may be obvious, as in a muesli bar or cookie, or hidden as peanut oil, crushed or cooked into food. Several children in our school have severe nut allergies, therefore we ask that you DO NOT send nuts, peanut butter or other food containing nut products in your child’s lunch or snack. The children in the class know that it is a Kennedy School Rule that food is not shared in school. Please discuss this with your child and contact the nurse if you have any further queries. Infectious diseases such as any of the below mentioned diseases may occur from time to time and parents are asked to stay vigilant against them. If a child is unwell, having a fever or other symptoms of an infectious disease, parents are asked to notify the school and not to send the child to school until well. Most of the below mentioned diseases are categorized as “notifiable diseases” in Hong Kong, it is therefore important for parents to notify the school immediately if a child is diagnosed by a doctor with any of these, as the school will need to take appropriate precautions. At Kennedy School we actively discourage the use of face masks for any of our students. It is our belief that if a student needs to wear a mask, he/she is not well enough to be at school and might be potentially contagious to other students. In order for a face mask to protect to its full potential, it is crucial that the mask is not touched at all, and changed any time it has become wet from coughing or sneezing. For most of our student population it is unreasonable to believe that they can manage this throughout a whole school day. If a student is sent to Kennedy School wearing a mask, he/she will be sent to the nurse. If the student is found to be healthy enough to continue the school day the mask will be removed and he/she will be sent up to class. If the student is found not to be well enough to continue the school day, parents will be contacted in order to arrange for the student to be picked up from school. Medical Information: Please make sure that all medical information in Gateway is up to date before your child leaves for camp. Should your child be in need of daily medication or have any other special needs/restrictions for camp, please make sure to inform the nurse prior to the trip in order for arrangements to be made it needed. Emergency contacts during camp: In any case of an emergency, Kennedy School will always try to contact the parents first. In the case that we cannot reach a parent, we request that parents have provided names of emergency contacts (other than the parents) that are permitted to make medical decisions for your child in your absence. Please make sure that the emergency contact details have been updated in Gateway before start of camp. Bring medication on camp: If your child is in need of bringing either daily or ‘as needed’ medication on camp, all medication will be handed to your child’s class teacher on the first day of camp. With the exception of Asthma inhalers, Epi-Pens and Diabetic kits, children are NOT allowed to carry or self-administer any medication during camp. All medication brought to camp has to be in its original box/bottle, put in a ziplock bag clearly marked with child’s name and class. All medication must also be accompanied by a signed “Medical Authorisation Form” which clearly states the name of the medication, dosage, frequency and how to administer. Kennedy School participates in the Government Immunization Scheme every school year. Immunizations are offered to students in Year 1 and Year 6 only. In year 1 we offer MMR (Measles, Mumps and Rubella) and DTAP-IPV (Diptheria, Tetanus, acellular Pertussis – Inactivated Poliovirus) immunizations in term 1 and term 2/3. In year 6 we offer MMR, Hepatitis B and DTAP-IPV immunizations in term 1 and term 2/3. Consent/Refusal forms are sent home with detailed information closer to the date of the immunization. All forms have to be filled in and returned to the child’s classroom teacher, even if the refusal for the immunization has been filled in. Only children who have handed in a consent form will be immunized on the day. All students in need of immunization are also requested to bring in their original immunization records. On the day of immunization, the Government Immunization Team will check all children’s immunization records (for those who have given in a consent form) to make sure they actually need the immunization. Once verified, the Government Immunization Team will be administering the immunizations accompanied by the Kennedy School nurses. Original immunization records will be sent home with the child on the same day of the immunization. Kennedy School participates in the Government Health and Dental Program every school year. At the beginning of each school year, a form is sent home for parents to sign their child up for Health checkup and/or Dental checkup if they wish to. Parents should fill in the form and return before the deadline, as late submissions are not accepted. If parents do not wish for their child to be signed up for any of these services, the form does not need to be returned. Should you decide to sign your child up for Government Dental services, the cost is $20 HKD. The form must be handed in accompanied by a cheque for $20 HKD, issued to Kennedy School. Government Health services are free charge. Please click here for a break down of what services are offered to each Year level. When filling in the form, please list the child’s Government Dental number (SDCS) should he/she have one from the previous year. The Student reference number is not used, therefore please leave this field on the form blank! This form has to be filled in at the beginning of each school year, regardless of whether or not the child made use of the services the year before. Later in the school year parents will receive an appointment slip with a date and time for when to bring the child to the Government Health and Dental clinics. The Hong Kong Government is offering a Flu Vaccination Subsidy Scheme to all resident HK children. Please click here or call 2125 2125 for details. The Department of Health has issued new guidelines for the 2016/17 Flu Vaccination. It is recommended for all children from the age of 6 months to 12 years, elderly and pregnant women. There is a Government subsidized vaccination plan for children and adults, please see their website for more information. Please visit the Department of Health website for information on the type of vaccination that should be given for the upcoming season. To be effective the vaccination should be administered in the months of September, October or November. Please click here for more information. The Kennedy School nurses and PE department monitor the weather and AQHI levels throughout the day in order to make the safest decision for our students during Playitme, PE, Games, Swimming or other activities where children will be outside. Should the AQHI go to 8 or above at the nearest General station, we will reduce outdoor physical exertion to the minimum, which means children will still be outside for Play, but there will be no running or ball games and all outdoor sports activities will be cancelled. Should the AQHI go to 10 or above, all outdoor activities will be cancelled and children will be kept inside for playtime. ESF has introduced a “Playtime Alert Level Chart” where temperature, humidity and air quality are taken in to consideration and different Playtime alerts will be issued to the staff according to this. Staff are then aware of extra-precautions they might need to take when a certain play time alert is announced. Nutrition and healthy food is very important for your child’s wellbeing, concentration and learning in the classroom. Your child should always start his/her school day with a healthy breakfast at home. Throughout the day he/she should have a healthy snack (without too much sugar) and a healthy, filling lunch in order to keep his/her blood sugar levels stable, and enable them to concentrate and learn better. This will initially give them some energy, but quickly thereafter, they will start to feel more tired and struggle to keep their concentration in class. All Kennedy School children are expected to bring a water bottle to school every day, in order to keep well hydrated. Juice, milk and other sugary drinks are not recommended for children to have in their water bottles, therefore school guidelines are water only please! Making sure children are getting an adequate amount of sleep is imperative to their ability to concentrate and learn in school. Studies show that a lack of adequate sleep is linked to poor performance in school and a compromised immune system which could make the children more susceptible to contagious diseases. It is therefore recommended that primary school aged children on average sleep 10-11 hours every night. For more information please see the resources below. My child is ill – what do I do? If your child has a fever >37.5°C, coughing, sneezing, or has diarrhea or vomiting, please do not send them to school. Keeping them home will help them to recover, and will help stop the spread of the virus to other students and staff. Please email your child’s class teacher as well as nurse@kennedy.edu.hk to inform us of the reason for your child’s absence. My child has been prescribed medication – what do I do? Please send in the Medical Authorisation Form together with the medication fully labelled with your child’s name, class, time to be administered and reason for prescription. Be aware that some medications, such as antihistamines, will make the child sleepy, and your child may be better off at home. Please document this in Gateway and email nurse@kennedy.edu.hk and your child’s teacher to let them know. We need to be aware of the severity of the illness, and any medications given at home or at school. It is important to take the correct medication on school trips and camps. If there is any change in their condition or medication, please update the School Nurse ASAP. If parents are out of Hong Kong for more than a few hours please let the school know. If your child becomes ill or has an accident, we will need to contact you or a designated carer/guardian, so it is imperative that the school knows all the contact numbers. Please complete the Absence of Parents from Hong Kong Form and return it to the school office.